Ecuador has some of the best surfing spots around the world. Its golden, sunny beaches, good weather and great waves make it the perfect country for surfing enthusiasts to visit. A stretch of 560 km of Pacific coastline known as the Spondylous route, is the most popular with surfers, along with the Galapagos Islands. Keep on reading for our compilation of the best beaches in Ecuador! The Esmeraldas Province, located in the north-western corner of Ecuador, is known for its exotic flora and fauna, humid climate and spectacular beaches. There, you will find Mompiche Beach, famous for its big waves and proximity to the jungle. If surfing and relaxing is what you’re after, this will be the perfect place for you without a doubt. Carola Beach is known for its fauna and tropical dry forest, and if you’re lucky enough you will even get to spot sea lions between December and March! Tongo Reef, on the other hand, is the perfect beach for you if you’re looking to ride some reef breaks. Catching one of these big waves and surfing with sea lions makes the long trip worth it! Manabi is an area with lots of surfing opportunities. Ayample and Las Tunas are two small surfing communities with beautiful beaches and numerous beach breaks to ride. Canoa, on the other hand, is well known for its rustic and bohemian style. It is a white sand beach and also a great spot to go paragliding, water skiing, hang gliding or even horse riding. As for San Lorenzo, it is one of the most important beaches in the region, and it has the perfect-sized waves to go tube riding! If you’re brave enough, don’t think twice, Ecuador is the place for you! Playas, in the province of Guayas, has a golden sandy beach and moderate waves and is where it’s said surfing started in Ecuador. Its beautiful, extensive beaches make the area well worth visiting, don’t miss out! El Pelado’s uncrowded beach, just 6km north from Playas, is the place to be if you’re looking to go surfing during the winter months (Nov-Jan). The beach at Punta Loberia, in the province of Santa Elena in the Salinas County, is famous for its wild waves and stunning sunsets. According to the locals, if there are no waves in Punta Lobeira, there will be no waves in any other beaches. The perfect balance of wind and waves also makes the island of Punta Carnero (also in Santa Elena province) a great spot for surfers, as tubular, heavier waves can be found here. If you consider yourself to be an expert surfer, you have come to the right place! 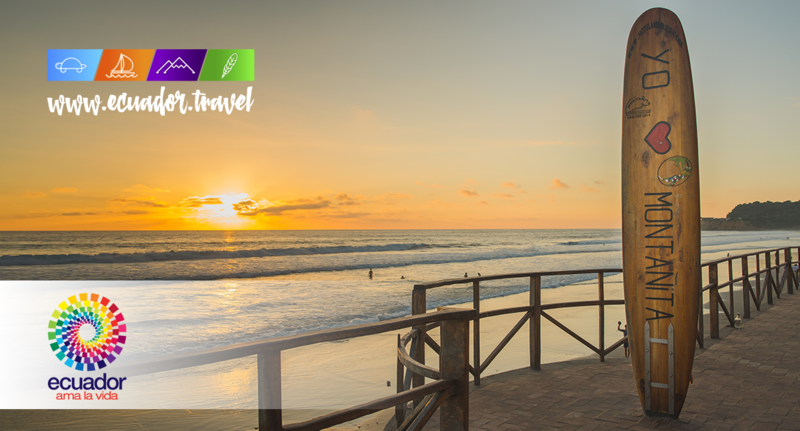 You cannot leave Ecuador without visiting the Mecca of Surfing, better known as Montañita, in the Santa Elena province. Here, you will find strong, consistent waves and good tubes that make Montañita a great place to live a surfer lifestyle. Its waves can reach up to 3 metres high, and it is also well known for its tropical climate. The area has more than 20 surfing locations of all kinds. If all you’re looking for is a nice place to relax and enjoy the weather, this area will also be a good fit for you. Now you know all about the best surfing spots in Ecuador, it’s time to book your flight with Air Europa and enjoy! Air Europa makes things easy for you so you can bring your sports equipment on board. Find out more about how to bring your surf board here. 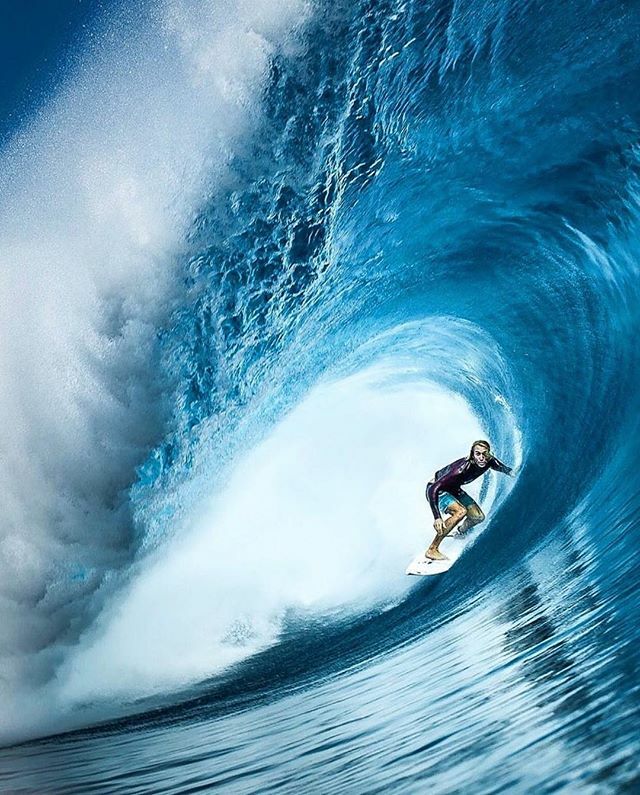 Keep on scrolling for some great Instagram accounts filled with great pictures and lots of tips for all surfers!